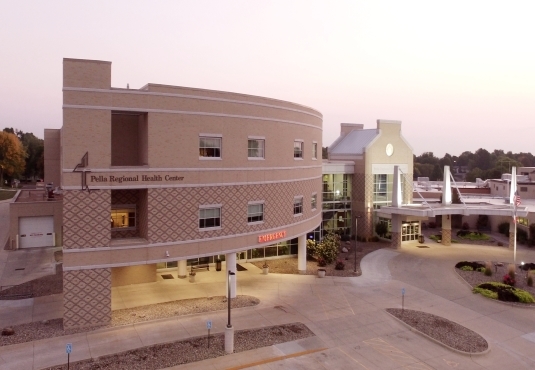 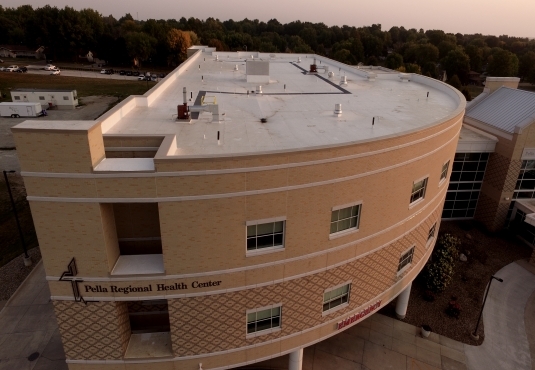 When Pella Regional Health Center needed to add a third-floor expansion onto their existing facility to accommodate their growing obstetrician services, they contacted The Duerson Corporation of Altoona, Iowa to coordinate the roofing needs for the project. 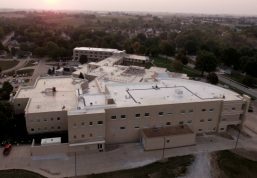 While the plans called for a new roofing installation over the expansion it also involved the removal of existing roofing materials from the old deck that would now serve as the expansion floor. 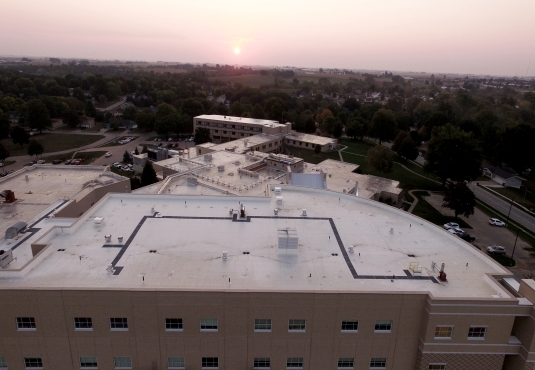 Additionally the third floor was built on top of the a working hospital structure so it was important to avoid interfering with hospital operations and patient care. While careful and efficient construction at every stage of the project was imperative, hopital administrators put great importance on how material waste was handled as well. 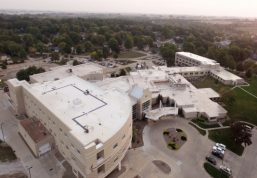 The Duerson team coordinated the recycling of almost every aspect of the removed roofing system. 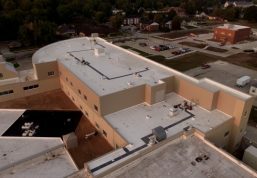 Through Duro-Last’s Roof Take Back Program, approximately 7,200 pounds of mechanically attached Duro-Last membrane was recycled into new PVC products including flooring, walk-way pads and concrete expansion joints. Over 1,000 pounds of metal plates and screws used to attach the original membrane were also collected and recycled. 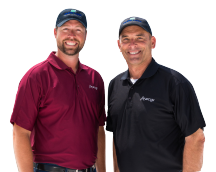 Because of The Duerson Corporations’s dedication to sustainable practices, thousands of pounds of materials were diverted from land-fills and thousands of dollars were saved in disposal costs.